For 2019, INFINITI has harnessed safety with technology to yield a 2019 INFINITI Q50 that is safer than ever. The INFINITI Q50 all-wheel-drive system responds instantly to changing road conditions. 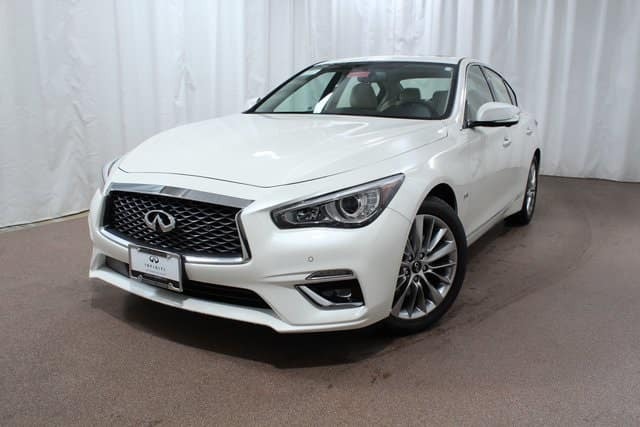 The AWD system moves power between the rear and front wheels by continually monitoring wheelspin, throttle, and speed so the Q50 has optimum traction at all times. INFINITI has applied technology to recalibrate the suspension, so the driver has a choice of a ride aimed more toward performance or comfort. Then, there is the Q50s Predictive Forward Collision Warning system. Using an active, forward-looking radar system, the INFINITI Q50 watches the lane ahead and the vehicles in that lane. It can see issues occur before you do. The same technology implements INFINITI’s Forward Emergency Braking. This system detects cars in the lane ahead, alerting you to problems and braking the Q50 to prevent a collision. Among the many uses of technology INFINITI has implemented for the Q50 is Direct Adaptive Steering. This system digitally transmits steering inputs to the front wheels. It works with other forward-looking pieces of the technology suite to keep the Q50 safe. The Q50’s Lane Departure Control system employs a forward-looking camera to scan the lane ahead. If it senses the Q50 is leaving the lane, it gently brings the vehicle back so it remains centered in the lane. It also assists in keeping the Q50 in the lane during windy conditions or on uneven road surfaces. Another technology first, Around View, uses four cameras that yield a complete view around the Q50 as it maneuvers. It alerts you to objects you may not see and acts for you. Also, there’s the Backup Collision avoidance system that detects approaching vehicles or stationary objects as the Q50 parks. If there is an issue, it can apply the brakes to prevent accidents. This is all part of the Safety Shield concept that aims to keep you and your passengers safe at all times. The INFINITI Q50 also offers an unprecedented level of connectivity through INFINITI’s Intouch Services package. Intouch Services never lose touch with the world around. Through INFINITI’s Personal Security and Intouch Services, the Q50 remains safe and connected. 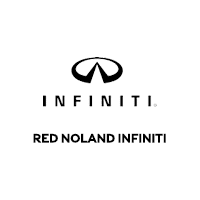 Visit Red Noland INFINITI in Colorado Springs and let our INFINITI experts show you the impressive safety features on the 2019 INFINITI Q50. Take a test drive and try out not only the safety features but the many comfort features and exciting performance as well.